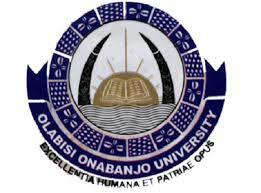 Olabisi Onabanjo University (OOU), Ago Iwoye, Ogun State First (1st), Second (2nd) Batch Admission List of Successful Candidates Uploaded Online for 2018/2019 Academic Session. Authorities of Olabisi Onabanjo University (OOU), Ago Iwoye, Ogun State, has successfully released the admission list for 2018/2019 academic session. Kindly log on to OOU admission status checking portal via http://portal.oouagoiwoye.edu.ng/admission/login.php. NOTE: All admitted candidates are to proceed with the acceptance of admission offer and registration process immediately. The deadline for payment of OOU admission acceptance fee is September 30th, 2018.